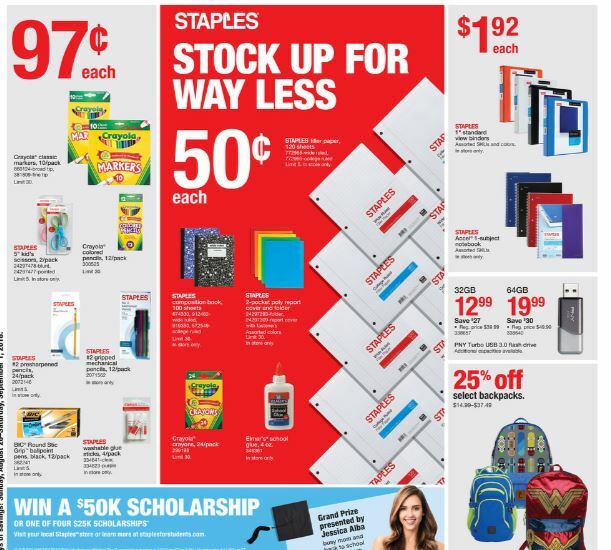 Staples Back To School Supplies at Stock Up Prices +$5 Off Coupon! Staples has some ASWESOME deals on School Supplies! 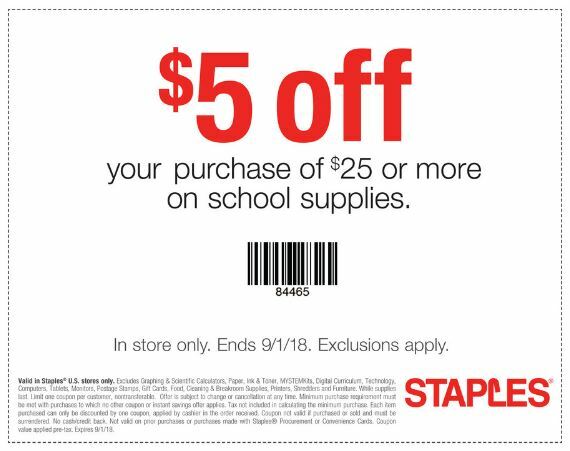 Make sure you grab extra because prices go way up after September! If you have the $1 off Bic Product Coupon from this Sunday 8/26 you can get some FREE boxes of Bic Pens too! $5 Friday at Safeway April 6! FREE Panera Bagels ALL December!!!! You Can Buy Name Brand Items and Stick to Your Budget + My Top 5 School Clothes Shopping Tips!